What is meant by Storage Classes of a variable? 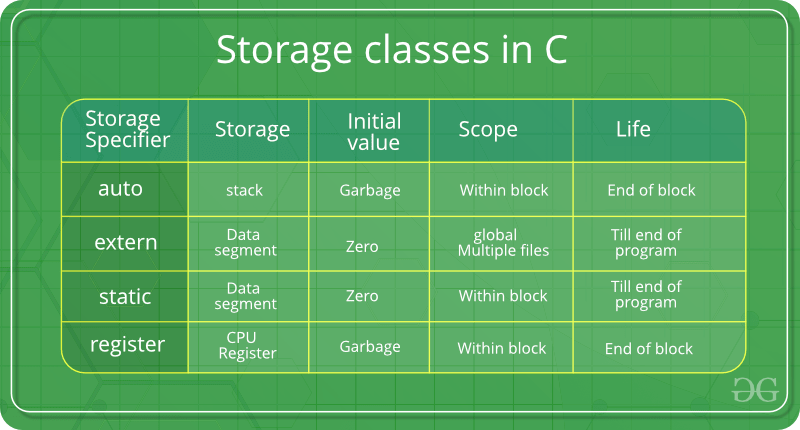 Define all types of storage classes with example. auto: This is the default storage class for all the variables declared inside a function or a block. Hence, the keyword auto is rarely used while writing programs in C language. Auto variables can be only accessed within the block/function they have been declared and not outside them (which defines their scope). Of course, these can be accessed within nested blocks within the parent block/function in which the auto variable was declared. However, they can be accessed outside their scope as well using the concept of pointers given here by pointing to the very exact memory location where the variables resides. They are assigned a garbage value by default whenever they are declared. 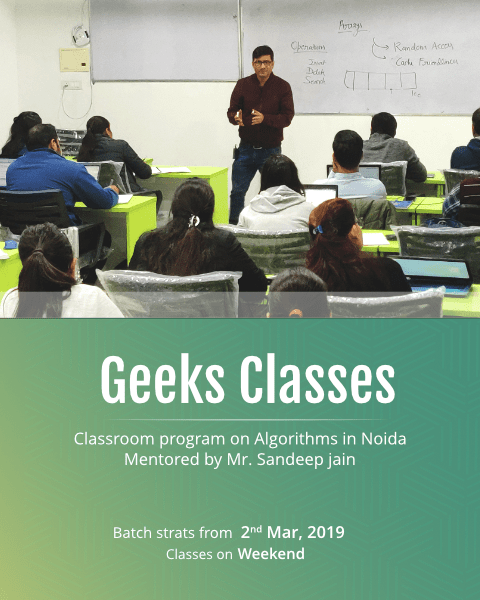 register: This storage class declares register variables which have the same functionality as that of the auto variables. The only difference is that the compiler tries to store these variables in the register of the microprocessor if a free register is available. This makes the use of register variables to be much faster than that of the variables stored in the memory during the runtime of the program. If a free register is not available, these are then stored in the memory only. Usually few variables which are to be accessed very frequently in a program are declared with the register keyword which improves the running time of the program. An important and interesting point to be noted here is that we cannot obtain the address of a register variable using pointers. Declaring ‘y’ as static inside the loop. But this declaration will occur only once as ‘y’ is static. Wrtie a program to multiply two matrices ( read size and number of element of matrices from the keyboard). Discuss various data-types used in C with suitable examples. What is recursion? Write a recursive program to find factorial of a number. Recursion: The process in which a function calls itself directly or indirectly is called recursion and the corresponding function is called as recursive function. Using recursive algorithm, certain problems can be solved quite easily. Examples of such problems are Towers of Hanoi (TOH), Inorder/Preorder/Postorder Tree Traversals, DFS of Graph, etc. Base condition in recursion: In recursive program, the solution to base case is provided and solution of bigger problem is expressed in terms of smaller problems. 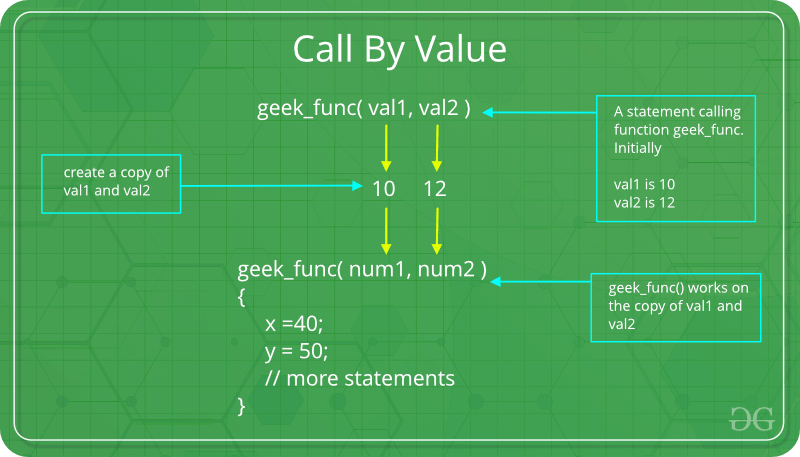 Explain the difference between parameter passing mechanism call by value and call by reference. Which is more efficient and why? Write a program to check a number is prime number or not. What is Macros? How it is substituted? Write macro definition with arguments for calculation of area and perimeter of a circle and rectangle. Store these macro definitions in a file called “areaperi.h”. Include this file in your program and call the macro definition for calculating area and perimeter for circle. Creating areaperi.h : Write the below code and then save the file as areaperi.h. The extension should be .h indicating its a header file. Including the areaperi.h file in other program : Now as we need to include stdio.h as #include in order to use printf() function. We will also need to include the above header file areaperi.h as #include”areaperi.h”. The ” ” here are used to instructs the preprocessor to look into the present folder and into the standard folder of all header files if not found in present folder. So, if you wish to use angular brackets instead of ” ” to include your header file you can save it in the standard folder of header files otherwise. If you are using ” ” you need to ensure that the header file you created is saved in the same folder in which you will save the C file using this header file. // therefore no compilation error. What are the different file opening modes in C? Write a program to copy the contents of one file into other file? 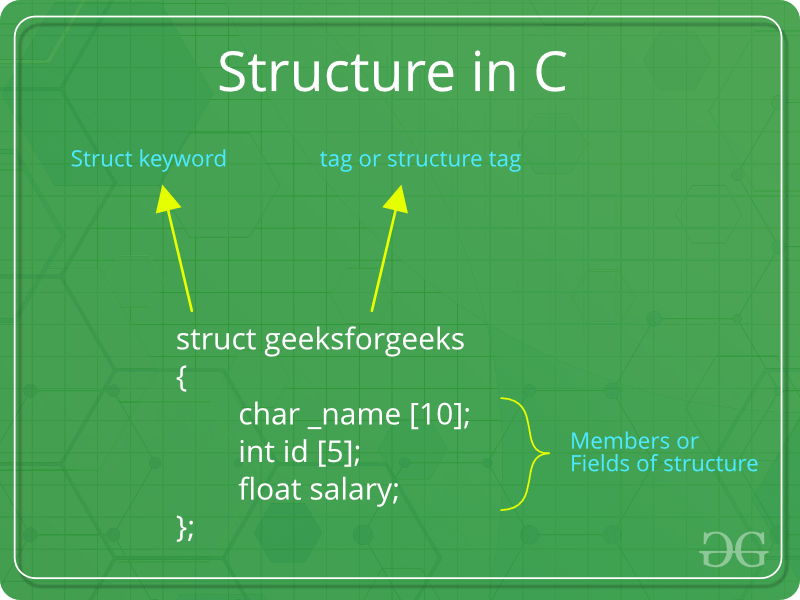 Define structure with syntax. Also write a program that compares two given dates. To store date use structure say date that contains three members namely date, month, and year. If the dates are equal then display message as “Equal” otherwise “Unequal”. Suppose a file contains student’s records with each record containing name and age of a student. Write a C program to read these records and display them in sorted order by name. Write a program to sort a set of names stored in an array in alphabetical order. Write a user define function to compare two strings where they are identical or not. 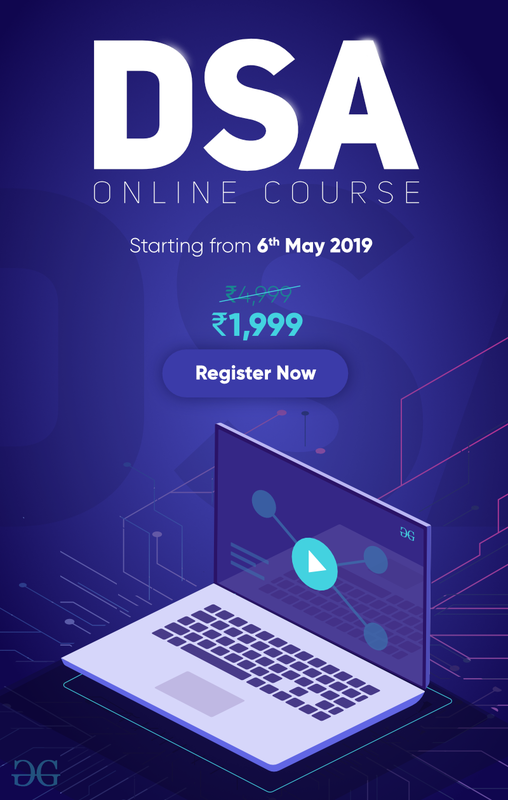 Define the concept of pointer> Also define the dynamic memory allocation and various functions for dynamic memory allocation, with suitable examples. 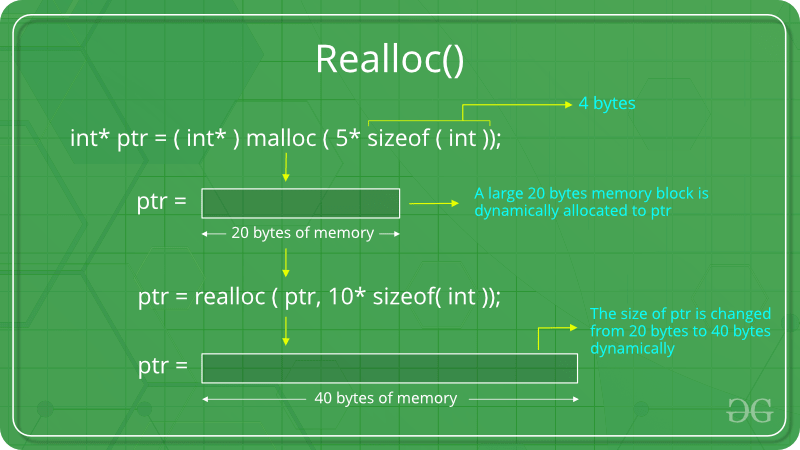 “realloc” or “re-allocation” method is used to dynamically change the memory allocation of a previously allocated memory. 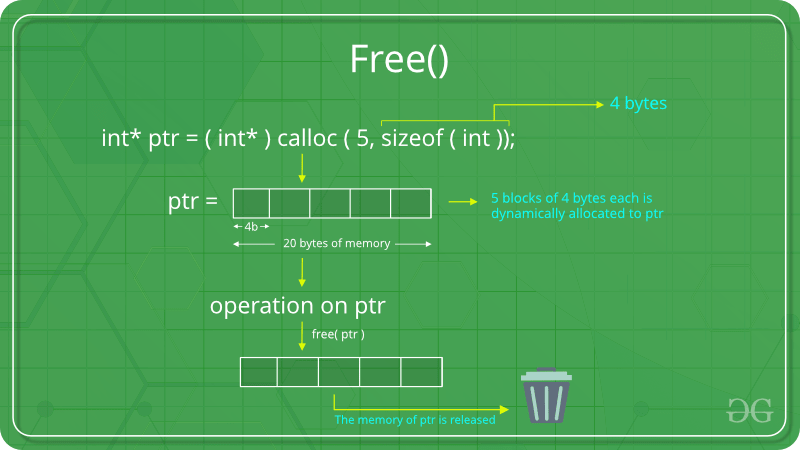 In other words, if the memory previously allocated with the help of malloc or calloc is insufficient, realloc can be used to dynamically re-allocate memory. where ptr is reallocated with new size 'newSize'. Memory successfully re-allocated using realloc. What is string? Also explain different string functions with examples. Strings in C: Strings are defined as an array of characters. The difference between a character array and a string is the string is terminated with a special character ‘\0’. It will append copy of the source string in the destination string. The terminating character at the end of dest is replaced by the first character of src . Return value: The strcat() function returns dest, the pointer to the destination string. strchr: In C/C++, strrchr() is a predefined function used for string handling. cstring is the header file required for string functions. This function Returns a pointer to the last occurrence of a character in a string. The character whose last occurrence we want to find in passed as the second argument to the function and the string in which we have to find the character is passed as the first argument to the function. Here, str is the string and c is the character to be located. It is passed as its int promotion, but it is internally converted back to char. strcmp: strcmp() is a built-in library function and is declared in <string.h> header file. This function takes two strings as arguments and compare these two strings lexicographically. In the above prototype, function srtcmp takes two strings as parameters and returns an integer value based on the comparison of strings. strcmp() compares the two strings lexicographically means it starts comparison character by character starting from the first character until the characters in both strings are equal or a NULL character is encountered. This process will be continued until a character in either string is NULL or the characters are unequal. strcpy: strcpy() is a standard library function in C/C++ and is used to copy one string to another. In C it is present in string.h header file and in C++ it is present in cstring header file. dest: Pointer to the destination array where the content is to be copied. src: string which will be copied. Return Value: After copying the source string to the destination string, the strcpy() function returns a pointer to the destination string. 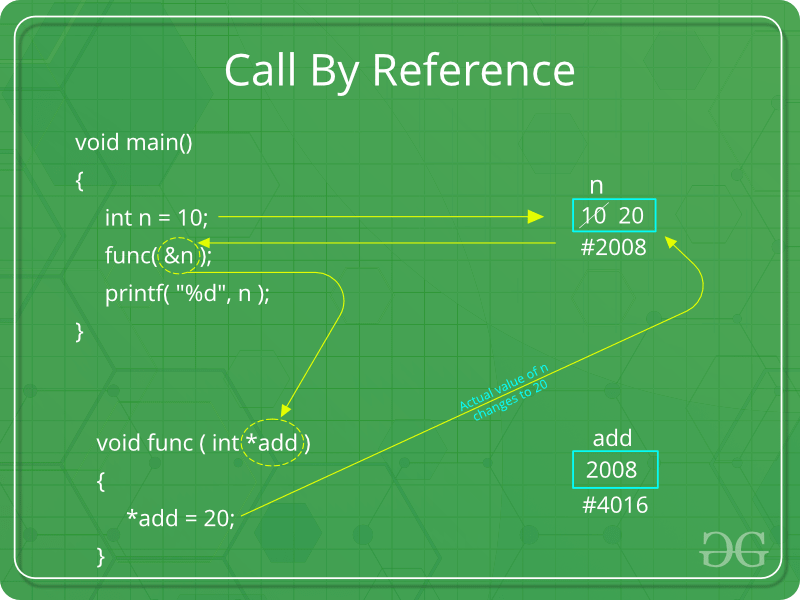 strlen: The strlen() function calculates the length of a given string.The strlen() function is defined in string.h header file. It doesn’t count null character ‘\0’. str: It represents the string variable whose length we have to find. Return: This function returns the length of string passed. strncat: In C/C++, strncat() is a predefined function used for string handling. string.h is the header file required for string functions. This function appends not more than n characters from the string pointed to by src to the end of the string pointed to by dest plus a terminating Null-character. The initial character of string(src) overwrites the Null-character present at the end of string(dest). Thus, length of the string(dest) becomes strlen(dest)+n. But, if the length of the string(src) is less than n, only the content up to the terminating null-character is copied and length of the string(dest) becomes strlen(src) + strlen(dest). the dest array is not large enough to append the contents of src. dest: the string where we want to append. src: the string from which ‘n’ characters are going to append. n: represents maximum number of character to be appended. size_t is an unsigned integral type. Return Value: The strncat() function shall return the pointer to the string(dest). strncmp: std::strncmp() function lexicographically compares not more than count characters from the two null-terminated strings and returns an integer based on the outcome. This function takes two strings and a number num as arguments and compare at most first num bytes of both the strings. num should be at most equal to the length of the longest string. If num is defined greater than the string length than comparison is done till the null-character(‘\0’) of either string. This function compares the two strings lexicographically. It starts comparison from the first character of each string. If they are equal to each other, it continues and compare the next character of each string and so on. This process of comparison stops until a terminating null-character of either string is reached or num characters of both the strings matches. str1 and str2: C string to be compared. count: Maximum number of characters to compare. Less than zero                      str1 is less than str2. Zero                                str1 is equal to str2. Greater than zero                   str1 is greater than str2. strncpy: The strncpy() function is similar to strcpy() function, except that at most n bytes of src are copied. If there is no NULL character among the first n character of src, the string placed in dest will not be NULL-terminated. If the length of src is less than n, strncpy() writes additional NULL character to dest to ensure that a total of n character are written. src: The string which will be copied. n: The first n character copied from src to dest. Return Value: It returns a pointer to the destination string. strrchr: The strrchr() function in C/C++ locates the last occurrence of a character in a string. It returns a pointer to the last occurrence in the string. The terminating null character is considered part of the C string. 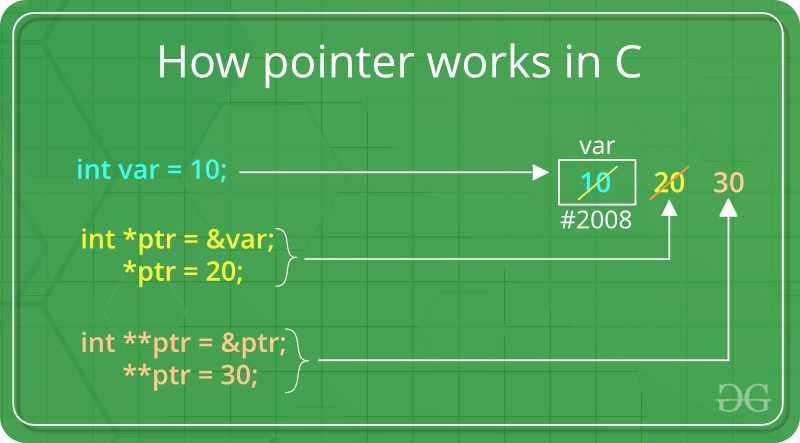 Therefore, it can also be located to retrieve a pointer to the end of a string. It is defined in cstring header file. (i) Stack with push and pop operation: Stack is a linear data structure which follows a particular order in which the operations are performed. The order may be LIFO(Last In First Out) or FILO(First In Last Out). How to understand a stack practically? There are many real life examples of stack. Consider the simple example of plates stacked over one another in canteen. The plate which is at the top is the first one to be removed, i.e. the plate which has been placed at the bottommost position remains in the stack for the longest period of time. So, it can be simply seen to follow LIFO/FILO order. push(), pop(), isEmpty() and peek() all take O(1) time. We do not run any loop in any of these operations. Linked List: Like arrays, Linked List is a linear data structure. Unlike arrays, linked list elements are not stored at contiguous location; the elements are linked using pointers. Arrays can be used to store linear data of similar types, but arrays have following limitations. 1) The size of the arrays is fixed: So we must know the upper limit on the number of elements in advance. Also, generally, the allocated memory is equal to the upper limit irrespective of the usage. 2) Inserting a new element in an array of elements is expensive, because room has to be created for the new elements and to create room existing elements have to shifted. For example, in a system if we maintain a sorted list of IDs in an array id. id = [1000, 1010, 1050, 2000, 2040]. And if we want to insert a new ID 1005, then to maintain the sorted order, we have to move all the elements after 1000 (excluding 1000). Deletion is also expensive with arrays until unless some special techniques are used. For example, to delete 1010 in id, everything after 1010 has to be moved. 1) Random access is not allowed. We have to access elements sequentially starting from the first node. So we cannot do binary search with linked lists efficiently with its default implementation. Read about it here. 2) Extra memory space for a pointer is required with each element of the list. 3) Not cache friendly. Since array elements are contiguous locations, there is locality of reference which is not there in case of linked lists. A linked list is represented by a pointer to the first node of the linked list. The first node is called head. If the linked list is empty, then value of head is NULL. In C, we can represent a node using structures. Below is an example of a linked list node with an integer data. We can also give command-line arguments in C and C++. Command-line arguments are given after the name of the program in command-line shell of Operating Systems. To pass command line arguments, we typically define main() with two arguments : first argument is the number of command line arguments and second is list of command-line arguments. The value of argc should be non negative. argv(ARGument Vector) is array of character pointers listing all the arguments. If argc is greater than zero, the array elements from argv to argv[argc-1] will contain pointers to strings. Argv is the name of the program, After that till argv[argc-1] every element is command -line arguments.